​If you're a fan of the Scarlet and Gray, this isn't exactly the news you wanted to hear. But if you're excited about what one of college football's most dominant players will be able to do when turned loose on Sundays on football's biggest stages, you've got one more reason to be excited. ​As he recovers from a core muscle injury suffered on September 15th against TCU, Ohio State defensive end Nick Bosa has reportedly decided to prioritize preparing for the NFL, ending his college football career halfway into his junior season. Already ​No. 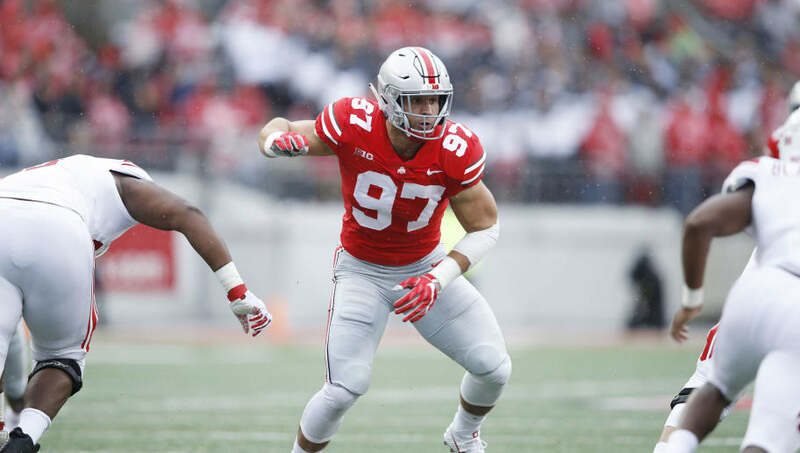 1 on ESPN analyst Mel Kiper Jr.'s list of best available draft-eligible prospects, Bosa's decision to forgo a comeback attempt this year or return for his final season of eligibility stands to reason. He's recorded a total of 17.5 sacks as a member of the Buckeyes, and stacked up four in the three games he was able to play in this year. Yes, he's got very little left to prove-- to the point that he's even making the decision to withdraw from school. It's a strong choice from the 20-year-old. But given how much he resembles older brother Joey, a former Buckeye who started tearing it up in the NFL off the edge as soon as he arrived, it's hard to argue with the logic behind today's news. The professional ranks are about to get themselves a good one.